of telling me to not eat Chocolate Cake! Yes, the fork broke. 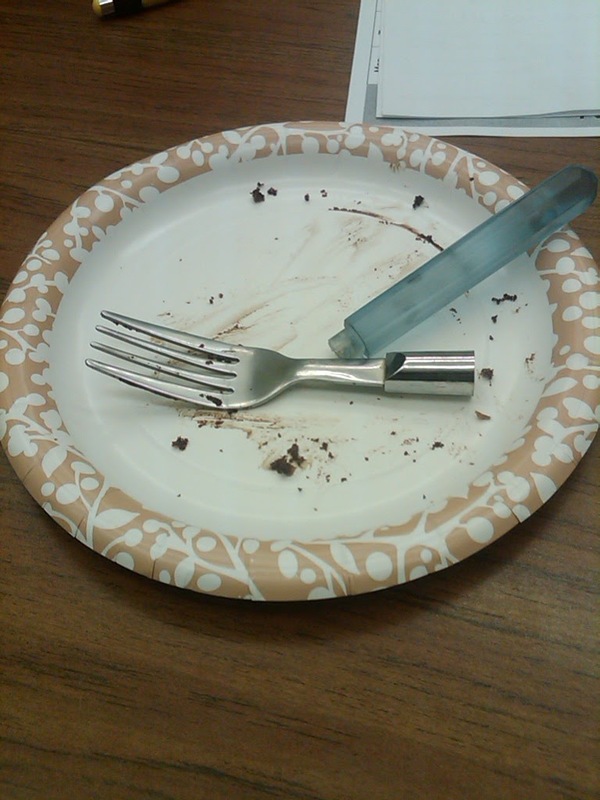 The cake was soft and juicy and not responsible for the breaking of the fork....just nature. That is classic!! :D I guess it is telling you not to eat choco cake! That is awesome I literally laughed out loud when I saw that!! !